Portland's Rose Lawrence presses all three gubernatorial hopefuls to answer tough question about LGBTQ youth in schools. 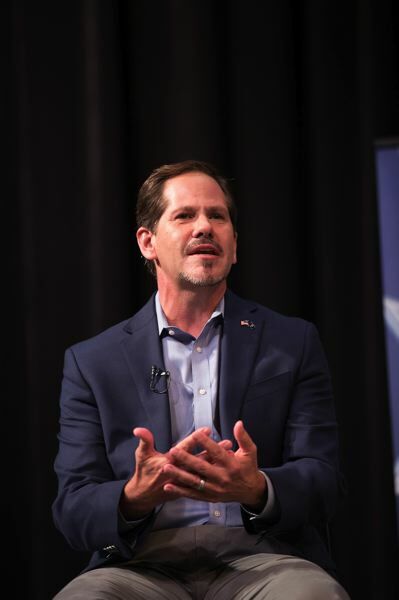 The most challenging force facing gubernatorial candidate Knute Buehler in his first debate wasn't incumbent Gov. Kate Brown. It was Rose Lawrence, a 15-year-old from Portland. Lawrence took the stage at Roosevelt High School Tuesday night after several other young people asked their questions of the state's three candidates in the first televised debate of the 2018 election. 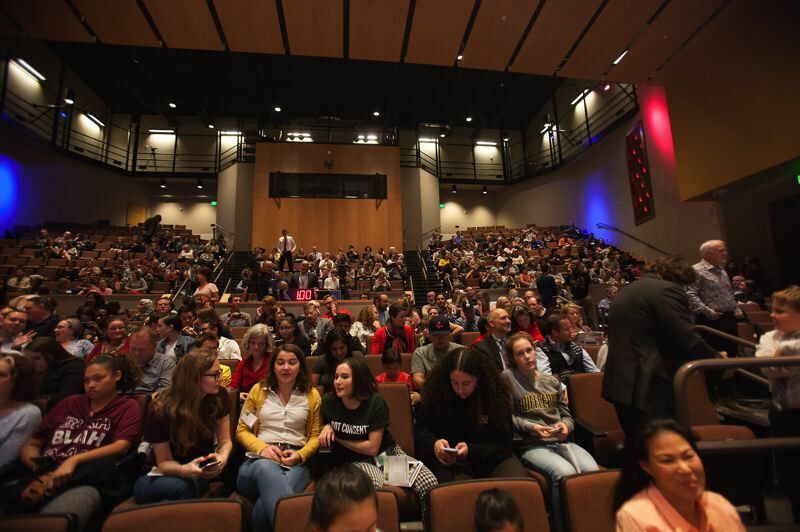 Each student appeared satisfied with the answers they received from Buehler, Brown and Patrick Starnes, the Independent Party of Oregon candidate. She asked what the candidates would do to curb bullying of LGBTQ youth in schools. The candidates answered. She asked again. Brown described being treated poorly as a bi-sexual woman. She talked about her "safe and secure" schools initiative, now being used as a national model. Buehler, in a divergence from how he conducted himself through the rest of the debate, used his time to largely credit the work of his Democratic opponent, saying he would continue her progress when in office. Rose, part of the LGBTQ community herself, persisted, pressing her question a third time. "What would you as governor do to make schools safe for LGBTQ?" she asked, sternly. Brown answered that she wanted to make sure schools have funding for counselors, specifically ones who mirror the backgrounds and experiences of the students they serve. She wanted to enforce state policy meant to keep students safe from bullying, and continue meeting with school superintendents regularly to make sure the policy is implemented. Buehler said the governor can stand on a soapbox and let the public know bullying isn't right. He said he would implement a hotline to report bullying directly to the governor's office so the state's leader would know first-hand how big of an issue it is. Starnes answered as well, noting his time working in schools and as a Southern Oregon school board member, and then told Lawrence, "I would hire you." After the hour-long televised debate, Lawrence said she took exception to Buehler's responses to her question. She said it seemed like Buehler was unprepared for the question, and it made her wonder how seriously he took her concern. "Buehler did not even use the term LGBT," she said. The scene — lasting several minutes — was a change in tone from an otherwise relatively cordial political debate. Brown, Buehler and Starnes sat on stools side by side under stage lights at the north Portland high school. Students picked from across the state for the debate stepped to the lectern one at a time. Candidates each had a minute to answer, a time cut in half near the end to squeeze in more questions. 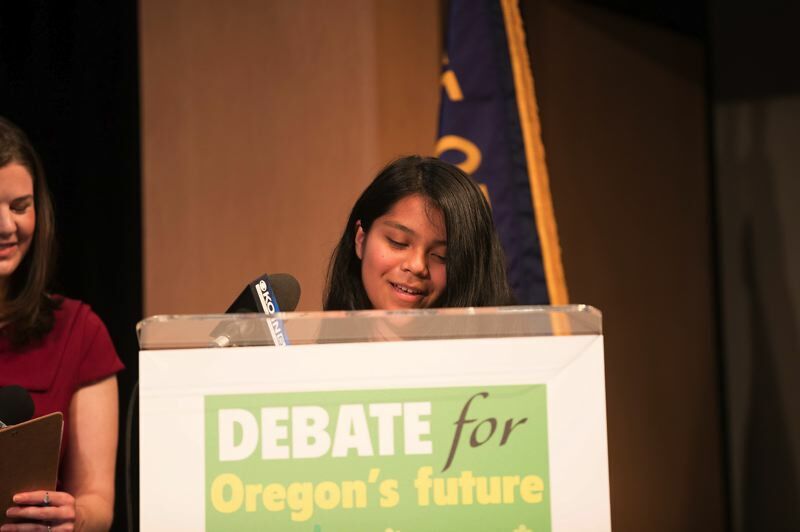 The debate was organized by Children First For Oregon, KOIN News 6 and the Pamplin Media Group. The youthful questioners peppered candidates with carefully scripted and forcefully presented questions. Many touched campaign hot topics: homelessness, health care, education, gun control. Others, like Lawrence's question, focused on less public and more personal issues that touch students' daily lives. Genesis Gomez, 12, of Portland, asked how the candidates would protect farm workers, like those in her family, from exposure to harmful agriculture industry chemicals. Brown answered in part by declaring, again, her opposition to repealing the state's sanctuary law, Measure 105. Her statement drew the only crowd applause of the night to an answer. Dazon Sigo, 17, asked why schools like his in Pendleton didn't do a better job of teaching about Native American history and culture. 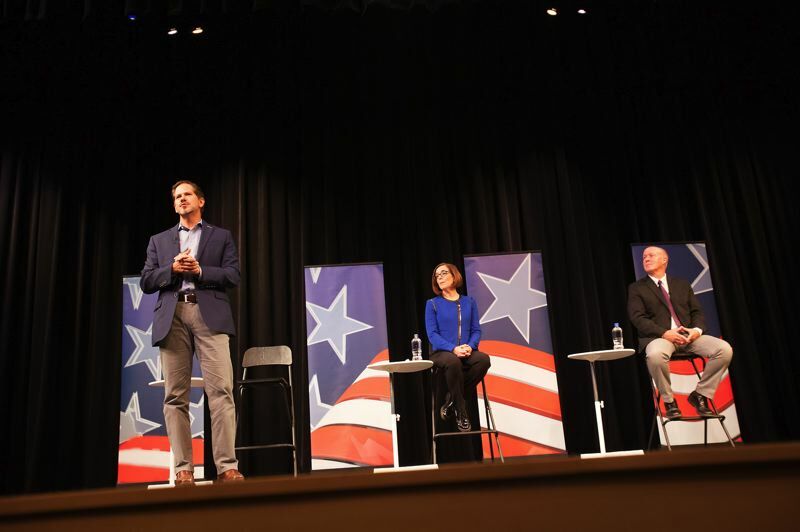 Throughout, the candidates largely answered the questions without bickering, though Buehler several times blamed state problems on Brown's leadership. 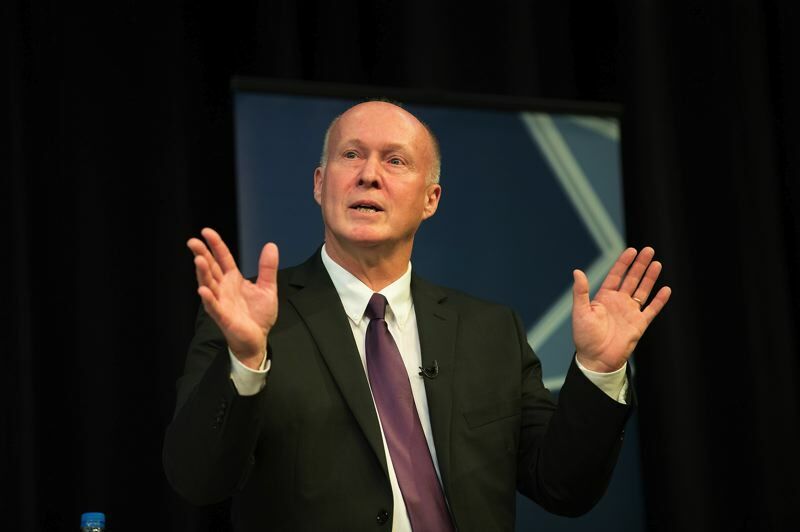 Brown largely ignored the jibes, but fired back at one point, emphasizing that action means more than words. A few times, the two were afforded rebuttals to address direct attacks. While addressing gun control, Buehler said he would support a ban on bump stocks (which allow semi-automatic rifles to fire rapidly), raising the minimum age to purchase a firearm to 21, and requiring a three-day waiting period to buy a handgun. Brown asked for a rebuttal to point out Buehler's opposition to Oregon's new "red flag" law, which allows authorities to take guns from people who could do harm to themselves or others. The law also bars them from buying a gun. Buehler countered that the legislation was flawed because it didn't mandate mental health care for would-be purchasers or allow them to defend their Second Amendment rights in court. While answering Sigo's question about Native American education, Buehler said Brown was to blame for any gaps because she can't stand up to special interest groups. Brown shot back, touting an increase in funding and a modest hike in graduation rates, while admitting there was more work to be done. The students had the opportunity to address the field of candidates, or narrow it to Brown and Buehler. But Starnes, a cabinet maker and school board member, was not deterred. He got in a short and often innovative answers nearly every time. When asked how the candidates would address climate change, Starnes said he would work to build an electric highway to charge vehicles as they drive. He suggested imposing a tax on vacant property and houses to fund mental health. He also floated the idea of taxing advertising to pay for mental health treatment. 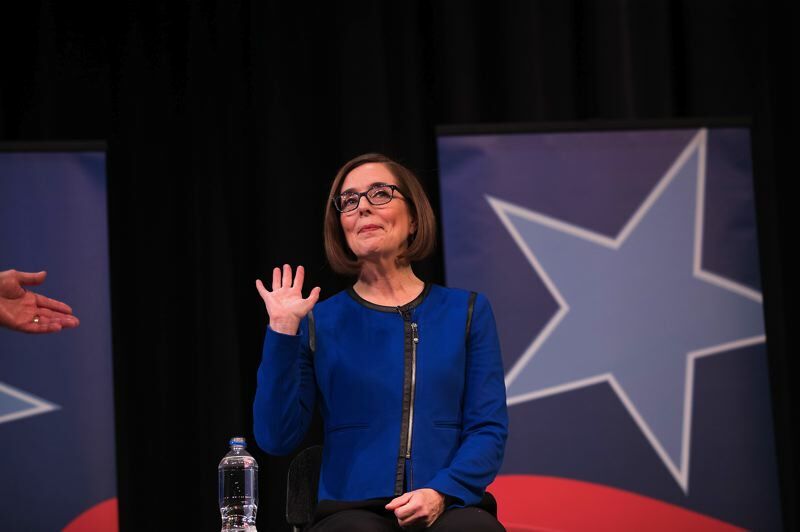 Brown and Buehler will face off again at a debate scheduled for Thursday night, Oct. 4, in Medford, and then next week in Portland. Starnes has been excluded from those events.